Strong economic growth in Kentucky and elsewhere is providing a steady stream of upbeat results for philanthropists and those who benefit from their largess. There is no central information clearinghouse for the amount of money donated and then distributed to worthy causes in Kentucky. However, people whose jobs depend on gifts from donors, grants from foundations and the performance of the stock market say that 2018 has been a good year in the commonwealth. Because of the number of philanthropists – both big and small – and the mind-boggling number of recipients, it’s tough to determine how good 2018 proved to be. There are 861 charitable foundations – corporate and private – registered to operate in the state, including 16 that received donations of more than $9.5 million over a period that began in 2016 and covers about two years, according to Barbara Floersch, chief of training and curriculum for The Grantsmanship Center, a Los Angeles firm that works with nonprofits. Over that same period, Kentucky foundations made nearly 18,000 grants of about $616.2 million to more than 2,600 recipients, said Floersch, citing information from the New York-headquartered Foundation Center, which gathers philanthropy data in more than 100 countries. The Kentucky Attorney General’s website lists about 6,600 other charities cleared to raise money in the state because they meet Internal Revenue Service criteria to be tax exempt. At the end of October, about 700 active charitable campaigns were underway in Kentucky, the attorney general’s office reports. One major contributor to the impressive numbers is the nonprofit Community Foundation of Louisville, which received donations from about 5,000 sources during fiscal year 2017 and is the largest charitable foundation in the state with assets of more than $530 million. For FY17, the foundation made some 9,500 grants to other non-profits, totaling about $73 million. About 80 percent of that money supported other nonprofits in Kentucky and Southern Indiana, according to Susan Barry, president/CEO of the foundation, which is the 43rd largest in the country as of 2016, the most recent reporting available from the Community Foundation Research and Training Institute in Grabill, Ind. The institute ranks Silicon Valley Community Foundation in California as the country’s largest in 2016, with assets of about $8.3 billion. Sixteen foundations had assets of more than $1 billion. Community Foundation of Louisville received about $50 million in 2017. Those gifts and income from its $530 million investment portfolio provide revenue the foundation uses to make grants that support other nonprofits. “What we’ve seen over the years is, when the market is doing well consumer confidence is usually pretty high, and people are more likely or feel more comfortable making charitable gifts,” Barry said. She said donors have come through, too, at times of crisis such as in 2008 and 2009, when the economy slid into a deep recession. Recent volatility in the stock markets has made some donors more cautious about charitable giving, she said. Thousands of nonprofits receive funding from Barry’s foundation every year. In 2016, beneficiaries ranged from the well-known University of Louisville Foundation ($1.4 million) and Metro United Way of Louisville ($1 million) to the more obscure Louisville Leopard Percussionists, an ensemble of students from schools in and around Louisville that received $5,000. Barry wasn’t alone in her comments about the links between portfolio performance and philanthropic giving. 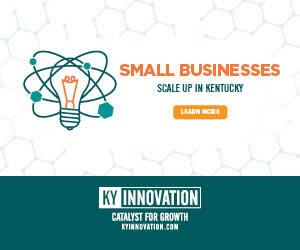 UK launched the $2.1 billion Kentucky Can campaign in 2013 with what Pieper calls a “silent phase” and is about 52 percent to its lofty goal. In 2017, UK’s annual fundraising hit $201 million – the first time it topped $200 million – and is on pace to exceed that total by the end of the current fiscal year, he said. At this point, the largest single gift to Kentucky Can – and the largest individual gift in the history of the university – was announced in October 2015 when Tom and Jan Lewis said they would donate $23 million to create the Lewis Honors College. “We’re still in the start-up mode. There were 1,500 students in the (UK) honors program, but there wasn’t any structure around it,” Tom Lewis said from his home near Phoenix. 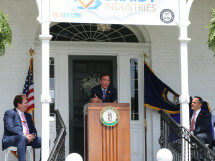 “So it was really just teed up exactly for what Jan and I wanted to do, which was to provide them with administrative offices and dedicated faculty and specific curricula and counseling and things like that,” said Lewis, a seventh-generation Kentuckian who graduated from UK in 1971 with a bachelor’s degree in mechanical engineering. Lewis then enrolled at the University of North Carolina, where he received his MBA, and was recruited to Arizona by a homebuilding company. He eventually started his own company, which Lewis estimates has built some 5,000 homes in Arizona. “The state of Kentucky is not as fortunate as some of the other states I’ve lived in. It doesn’t have the economic engine, the corporate headquarters. It doesn’t have the major banks. It doesn’t have the pro sports teams and all that other kind of stuff,” Lewis said. “It’s a smaller state, a little bit behind some of the others, but if anybody’s going to advance the state, the University of Kentucky is the institution that’s going to be in the middle of it. Further evidence of the uptick in philanthropic giving isn’t difficult to find. Centre College, the well-regarded liberal arts school in Danville, launched its $200 million Third Century Campaign in early 2013 and surpassed its goal last March, nearly 10 months before the drive was scheduled to end on Dec. 31 of this year. By late October, more than $205 million had been donated to a fund created to beef up Centre’s endowment. “When the stock market is doing well – since 2010 – giving has been on an upward trajectory, so it’s a good time to be raising money,” said Richard Trollinger, a senior philanthropy advisor for the school and retired vice president for college relations. 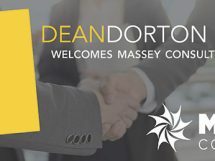 “Centre has been very fortunate. Over the years we have developed a strong culture of giving among our alumni. Our trustees lead that effort; not all are alumni, but they step up and understand their role as leaders so they give generously,” Trollinger said. Kentucky’s central location is a vital advantage to trucking companies that move freight all over the country, but “our border-state status,” as Centre’s Shawn J. Lyons describes it, also has a downside. “There are a lot of foundations around the country that have regional focuses and a lot of them will define themselves as Midwestern or Southeastern,” Lyons said. “Kentucky often gets excluded because Midwestern foundations consider us Southeastern, and Southeastern foundations consider us to be Midwestern. A lot of the institutions in Kentucky have what I would describe as a shallower pool of foundation opportunities than comparable institutions in Indiana or Ohio or Tennessee or Georgia because of our border-state status,” said Lyons, vice president for development and alumni engagement and Trollinger’s successor as college relations VP. Centre graduates are known for having one of the highest percentages in the nation of support for their school, Lyons said. There are about 12,000 living alumni and the Third Century campaign attracted contributions from 10,500 sources, not all of whom were Centre graduates. A little more than 30 miles east of Centre’s campus, Berea College in Madison County had success in late August when it staged its third annual Giving Day and exceeded its $300,000 target by about $200,000, according to Bernadine Douglas, vice president for alumni and college relations. In mid-October, Berea dedicated the Margaret A. Cargill Natural Sciences and Health Building, which was funded through a campaign that began in April 2016. The college had hoped to raise $10 million for the building but wound up receiving $12 million, Douglas said. The University of Louisville also has seen a recent uptick in gifts as it moves beyond the administrative turmoil of the last two years that had dampened the enthusiasm of some donors. A recruiting scandal led to the firing of men’s basketball coach Rick Pitino and university President James R. Ramsey stepped down in September 2016 as controversy rose about the use of funds at the University of Louisville Foundation, which was also led by Ramsey. The university sued Ramsey this past April. Those factors and others depressed donations to the university through the University Foundation, said Brad Shafer, who in June was named interim vice president for university advancement. Shafer said he arrived to find there were 13 fundraisers on the staff, only a third of the number employed in the past. He said some donors also held back their support until they had a chance to evaluate new UofL President Neeli Bendapudi. Shafer said these donors also wanted to be certain that the right procedures and reforms had been implemented by the new head of the foundation, Interim Executive Director Keith Sherman. Philanthropic gifts to the foundation are often “relationship based,” determined by long-term engagement, shared values or interests. “I’ve had a number of donors tell me, ‘We have not gone away; we have just been waiting and are pleased with what we see so far,’ ” Shafer said. In 2018, about $5.5 million was contributed to the Fund for the University of Louisville, Shafer said. An audit released in October 2017 showed the UofL Foundation had assets of about $924 million, an increase of about 3 percent over the previous year. Another indicator that philanthropy is alive and well in the state can be seen in the way donors gobble up the $1 million in Endow Kentucky state tax credits that become available on July 1, the first day of the state’s fiscal year. Those credits – capped at $10,000 per donor – are available on a first come-first served basis for anyone who contributes to one of the eight certified community foundations that operate in the state. 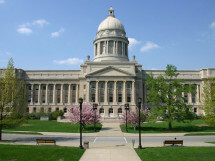 “It’s been very popular, and with the exception of the first year, all of the tax credits have been claimed within the first two weeks of the beginning of the fiscal year,” said Joe Clabes, president of the Kentucky Philanthropy Initiative, a Frankfort-based organization that promotes strategic philanthropy and efforts to support early childhood education. Like others interviewed for this story, Clabes said the initiative would like to see the state raise the $1 million ceiling on available tax credits so that more people can take advantage of the program. That cap, initially set at $500,000, was raised once before, he said. But that math may not work in the not too distant future. 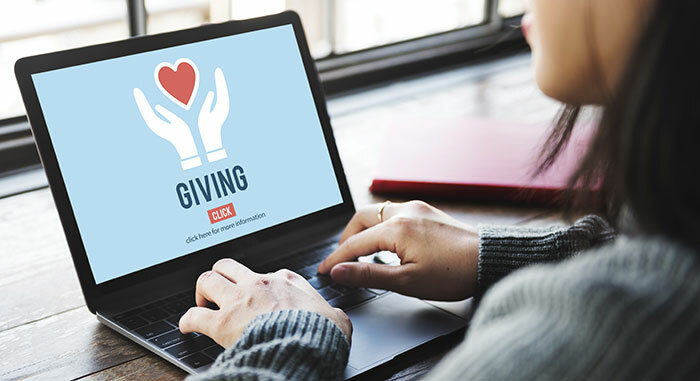 The federal government is considering a change to the IRS code that would prohibit a taxpayer from using both tax credits and charitable deductions for the same contribution. In the nine years since the program launched in Kentucky, tax credits of about $5.7 million have stimulated philanthropic giving of about $31.1 million, Clabes said. Virtually everyone who commented for this story talked about the generosity of Kentuckians when it comes to supporting a good cause or helping the less fortunate. But WalletHub, a personal finance website, wasn’t as flattering and ranked Kentucky 41st in a Most Charitable States study released in November 2017. Utah ranked first; Hawaii was 50th. Kentucky finished dead last in the percentage of the population that donates time to charities and tied for 48th with Arkansas in the percentage of people who donate money. The state’s highest ranking – second only to West Virginia – was for the percentage of people who collect and distribute food to the needy. WalletHub did not have a figure readily available on how much money was donated to Kentucky charities, a spokeswoman said. The organization said its study was based on a long list of sources, including the U.S. Census Bureau, the IRS and the Department of Housing and Urban Development.